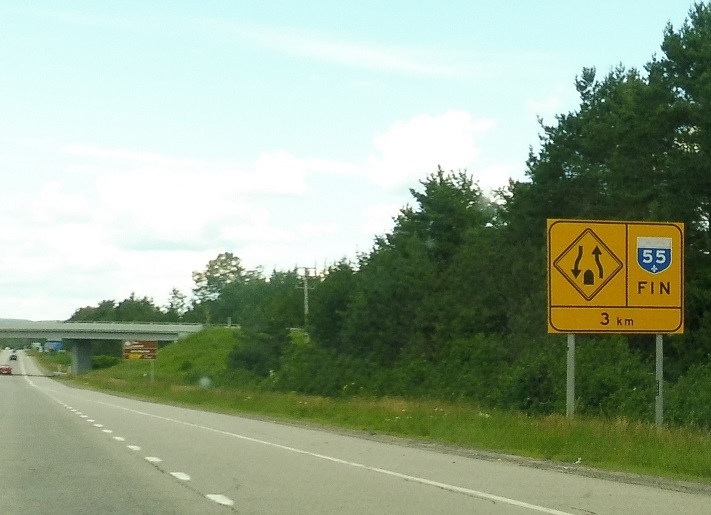 Reassurance shield after the R-351 interchange. 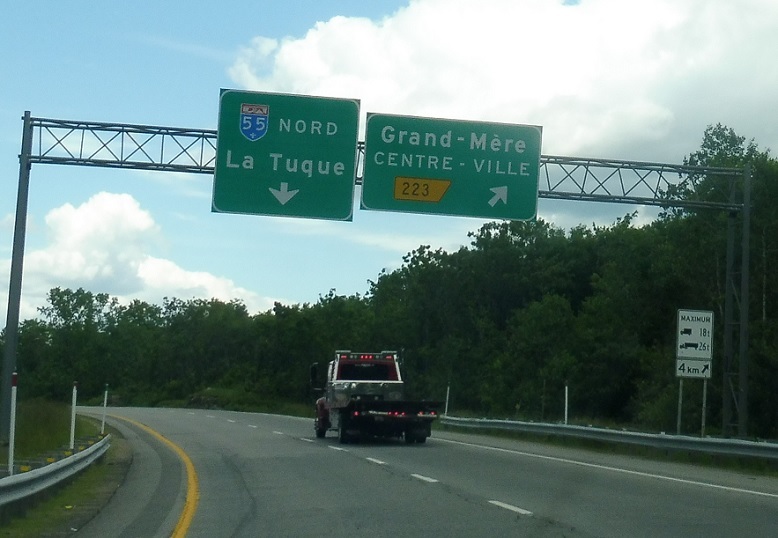 Just after the Grand Mere exit, we’re 3 km from the end of A-55. 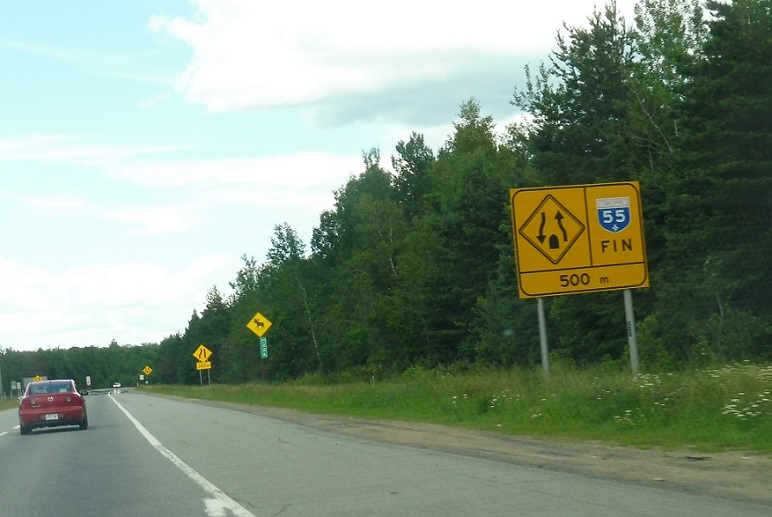 Reassurance shield after 6th Ave.
2 km to the end of A-55. 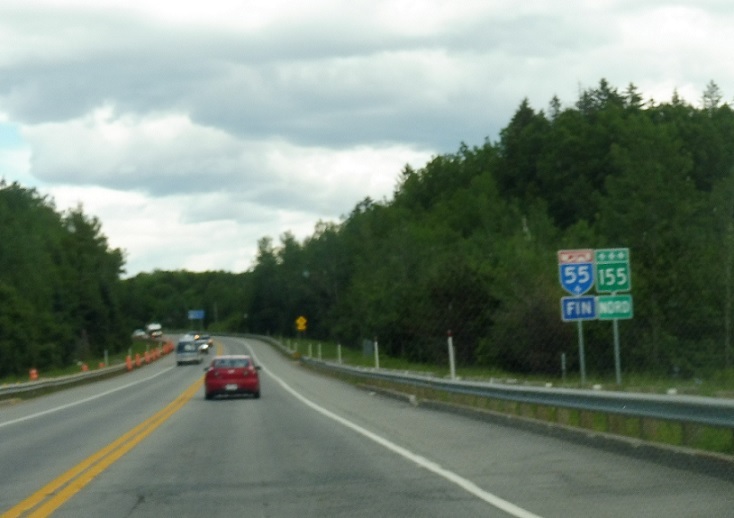 3 km to junction R-153 via R-155. 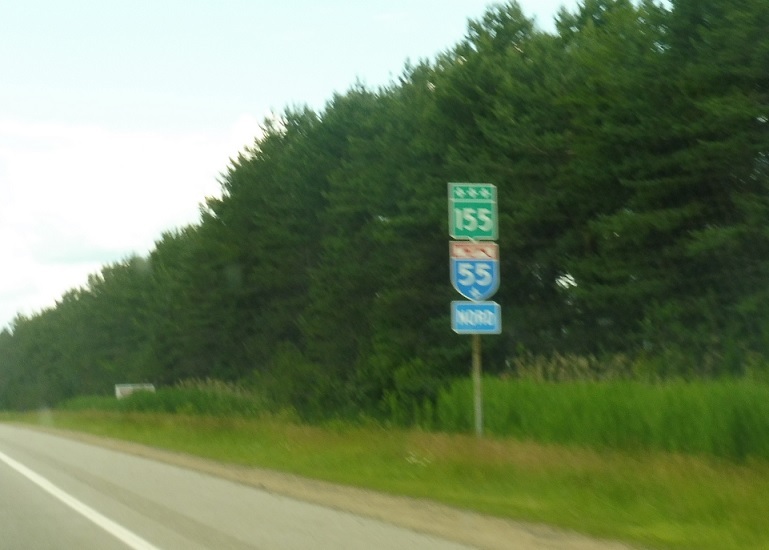 A-55 transitions back into R-155 when the freeway ends. 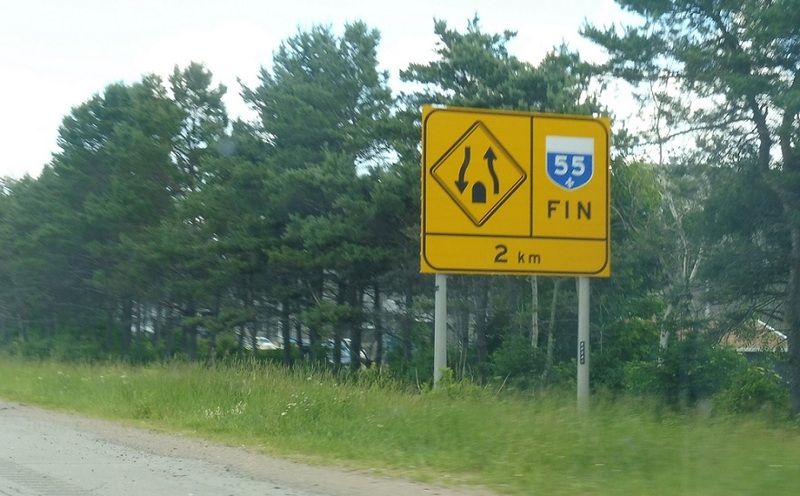 500 meters to the end of the Autoroute. 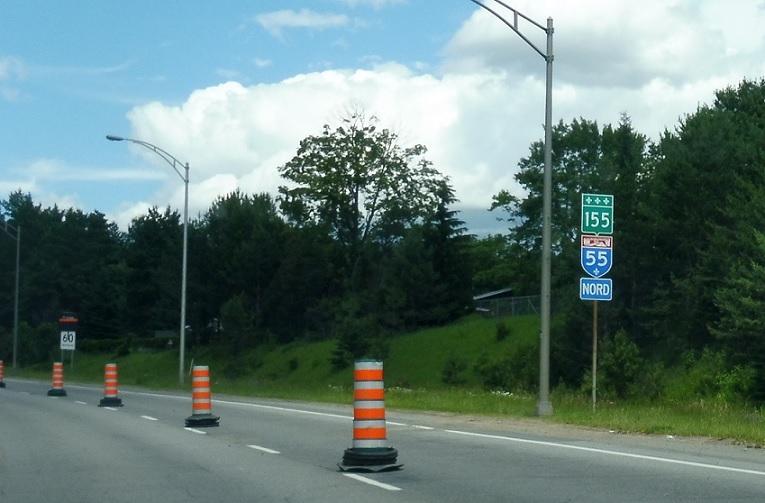 A-55 ends as R-155 begins. 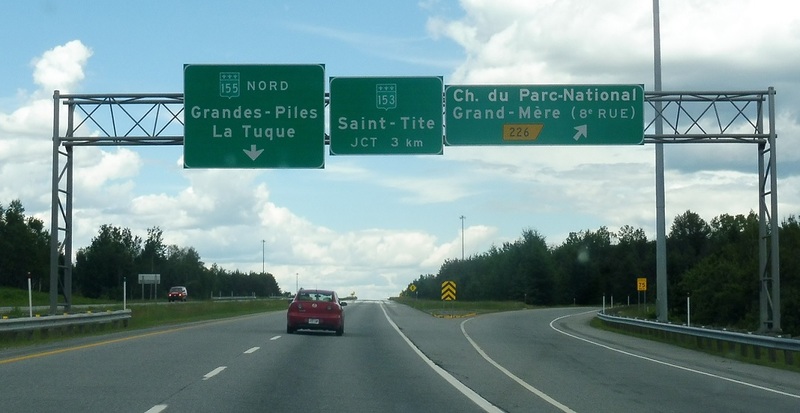 R-155 continues up to La Tuque and the Saguenay region.